* Writing! Sometimes it’s wonderful, sometimes it’s like hitting yourself in the face with a bat! * Hm. Interesting question. I’ve gotta go with “aluminum bat”, I think. The wooden ones split against my thick skull. Apparently in Ninys it’s traditional to put the author on the cover. Nice, hey? It looks just like me, and the descriptive sign card is totally spot-on. The blue fence is a nice touch; I like how it accentuates my teeth. * Whaddaya mean Ninys isn’t in your atlas? Look, it’s not my fault your atlas is out of date. * Hm. Maybe that can be my excuse for poor performance today. 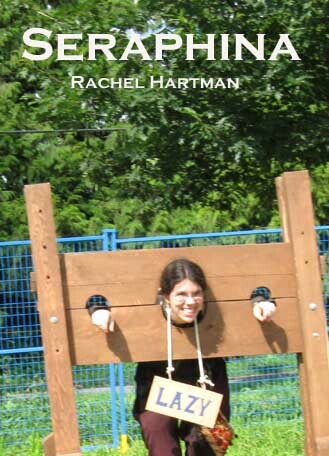 It wasn’t writer’s block — I was in the stocks.